Your child may have brought home a list of words to learn to read, these are called sight words or high frequency words. These are the words your child needs to learn throughout their first years of school. Students need to instantly recognise these words as they are not often easily sounded out and are found in most of the beginner reader books. Further development of this is the essential words where they learn to spell them to help with the progression of their writing. However these words can be tedious to learn if they aren’t fun as they need to be repeated often it can become a bit of a boring homework exercise. I have collated some ways I have used and suggested over the years. 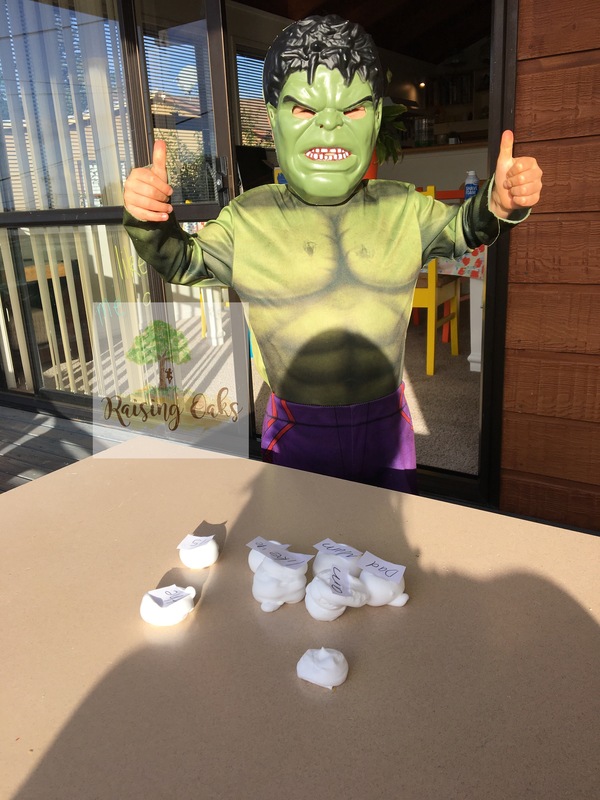 Although you don’t need to do them all the time it’s nice to change up the homework activities to make it fun and interesting! These can also be adapted for learning to spell too. This is where I printed out the words on bugs that Levi was learning and would call out a word. 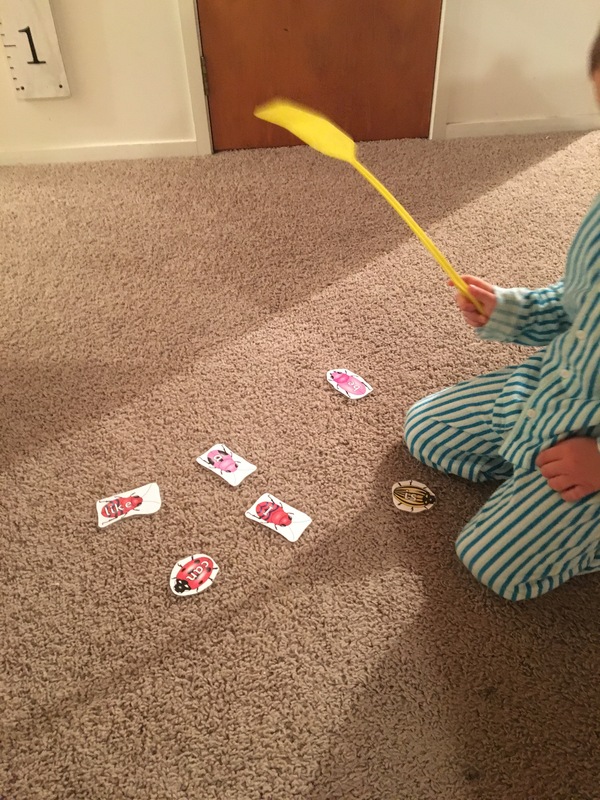 When he found it he was able to swat it with a fly swat. He loves this activity as it fun and he gets to move whilst learning…a key motivator for boys! 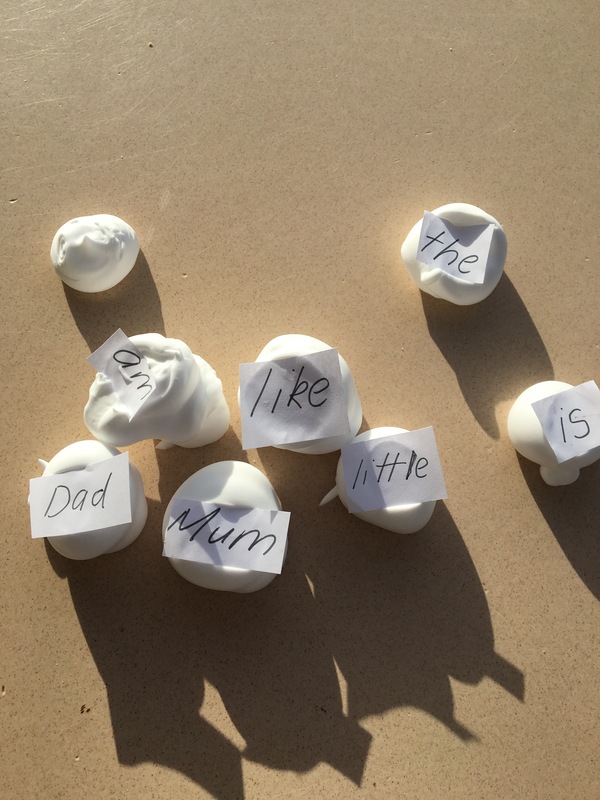 Why not print out the words or write them on notes and place them on top of piles of shaving foam, ask your child to read the word and slam them! 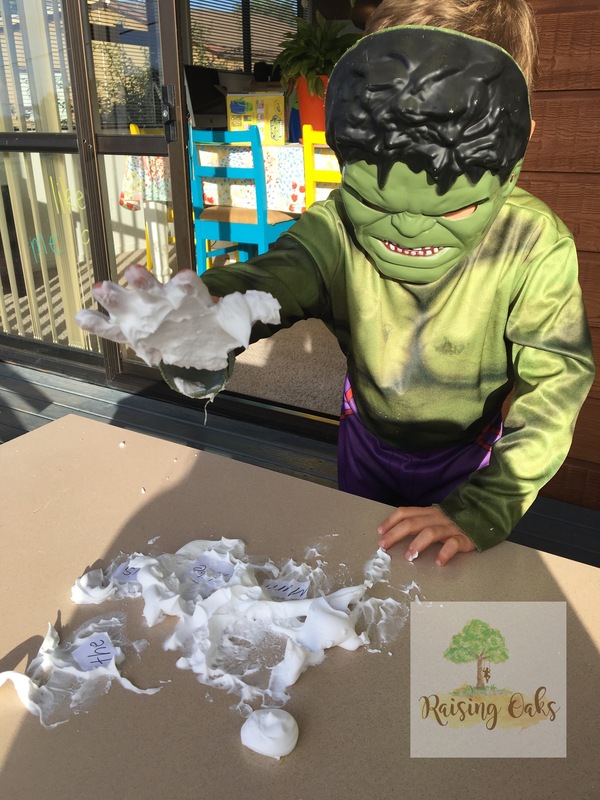 Yes its a bit of a messy activity but how fun! Write up their list words on the window with window pens and let them spray them off the window with a water pistol! So much fun! 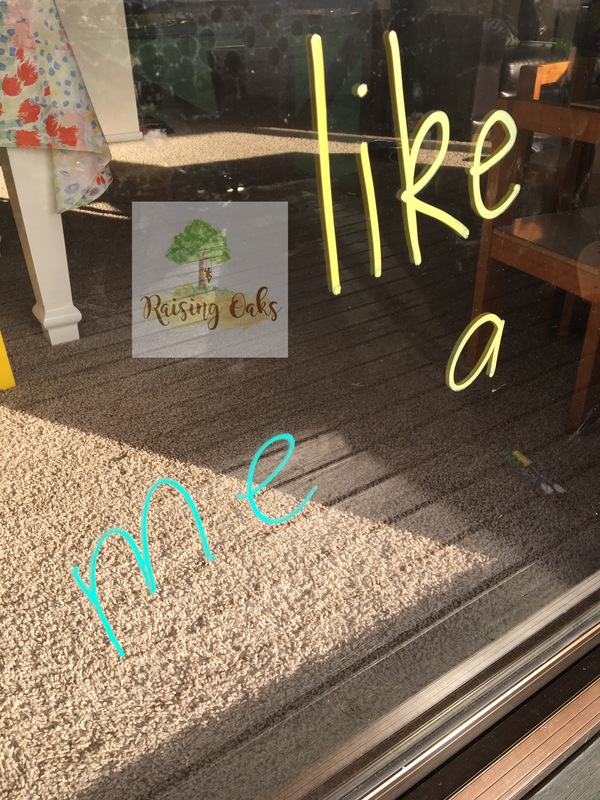 Once able to read the words your child can write their words with window markers on the window! 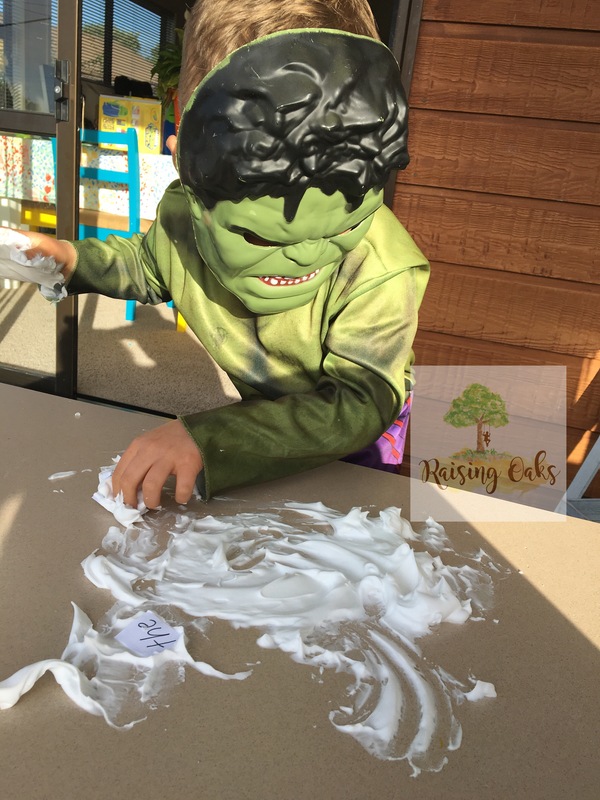 These are easily washed off and is lots of fun! Write their site words in bubbles on your driveway or the footpath and ask your child to read them as you jump along! 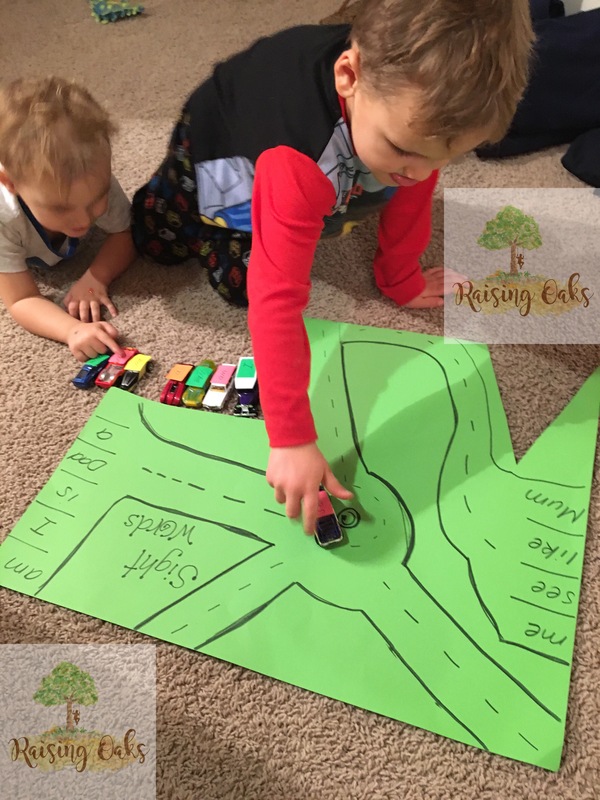 Stick sight words onto small cars and race them down a ramp to see who comes first! OR on a piece of cardboard draw carparks so that children can park the corresponding car into the carpark.